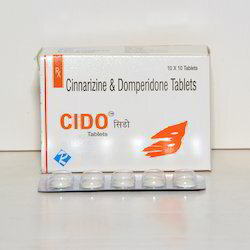 We are leading manufactures of Pharmaceutical Tablets , Syrups , Injections , Suspensions . 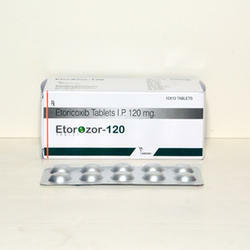 It is used to treat chronic pain and inflammation associated with rheumatoid arthritis, osteoarthritis, ankylosing spondylitis, tendinitis, sprain, and back pain. 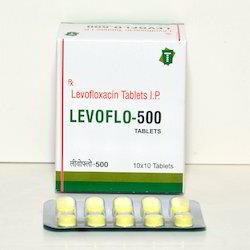 We are the manufacturers of pharmaceutical Tablets and also deals in third party or contract manufacturing services in pharmaceutical products. Levocetirizine is an antihistamine used to relieve allergy symptoms such as watery eyes, runny nose, itching eyes/nose, sneezing, hives, and itching. 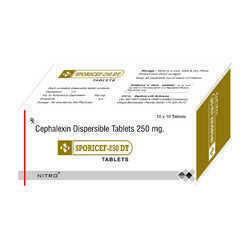 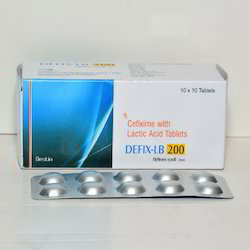 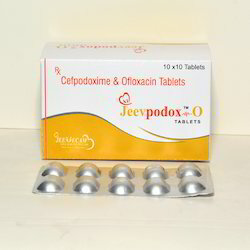 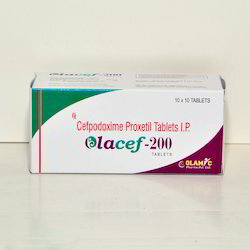 Cephalexin Dispersible Tablets 250 mg.
Cephalexin, an antibiotic in the cephalosporin family, is used to treat infections caused by bacteria. 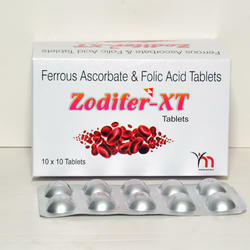 We are one of the leading manufacturer and supplier of Ferrous Ascorbate, Folic Acid. 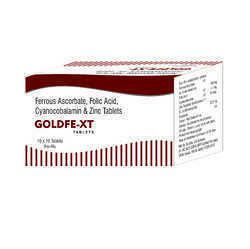 Composition of Ferrous Ascorbate, Folic Acid. 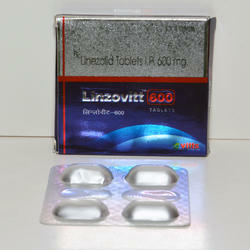 Linezolid tablets are an oxazolidinone antibiotic. 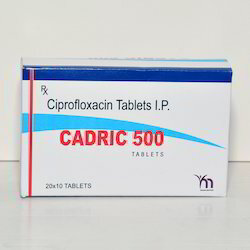 It works by interfering with the production of proteins needed by bacteria to grow. 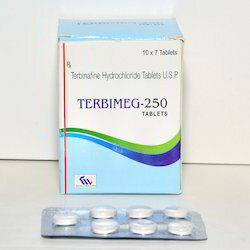 Terbinafine tablets are a prescription antifungal medicine used to treat fungal infections of the fingernails and toenails (onychomycosis). 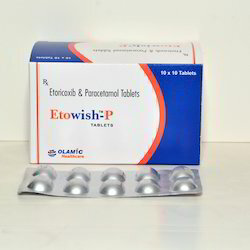 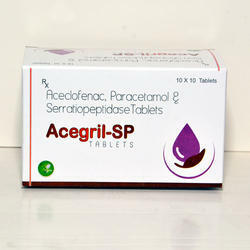 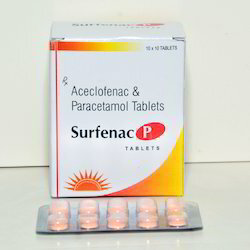 Paracetamol tablets belong to a group of medicines called analgesics. 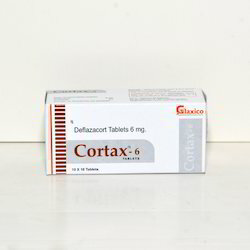 They are used for the relief of mild to moderate pain and feverish conditions such as headache, toothache, colds, influenza, joint pain and period pains. 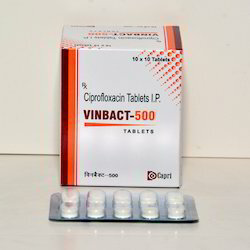 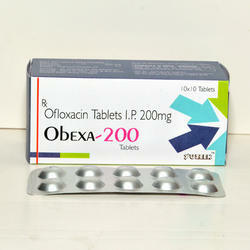 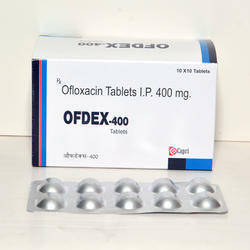 Ofloxacin belongs to a class of drugs called quinolone antibiotics. 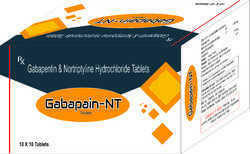 It works by stopping the growth of bacteria. 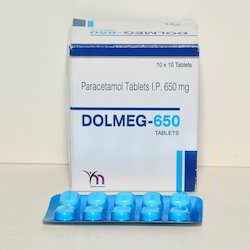 It is commonly prescribed for balance disorders or to alleviate vertigo symptoms associated with Ménière's disease. 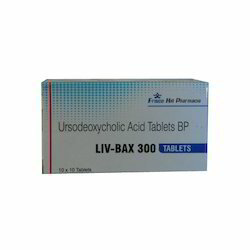 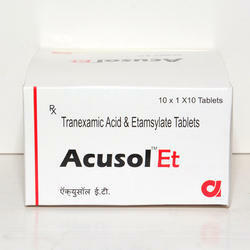 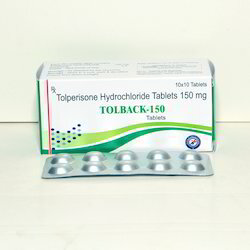 Our organization is among the leading names in the industry for manufacturing and trading Ursodeoxycholic Acid Tablets. 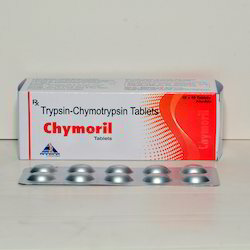 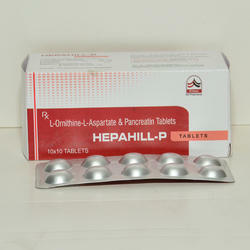 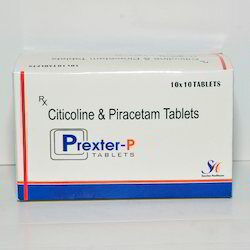 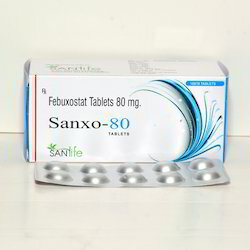 The offered drug is effective in treating primary biliary cirrhosis. 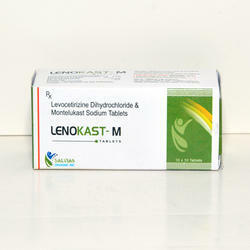 It is formulated in tune with the industry standards for offering optimum health care product to the customers. 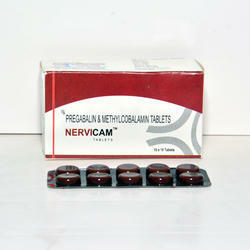 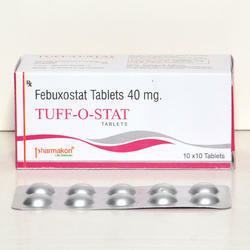 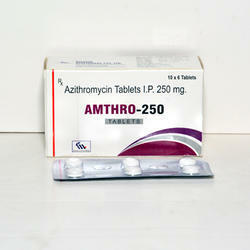 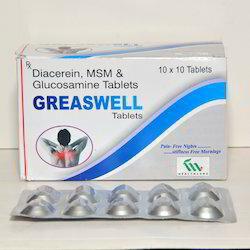 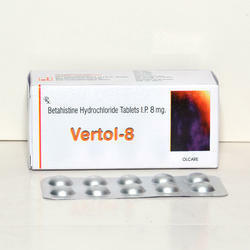 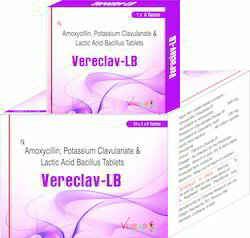 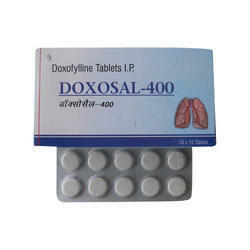 This drug is precise in terms of composition and provides quick relief .